Mark Smyslov left his native Russia when he was 17 and came to the United States for a better life. But life was not easy for a young man who barely spoke English and had no connections. He plans to graduate in May 2018 with a bachelor’s degree in finance and a minor in leadership studies. He has learned the language quite well and has an overall 3.93 grade-point average. 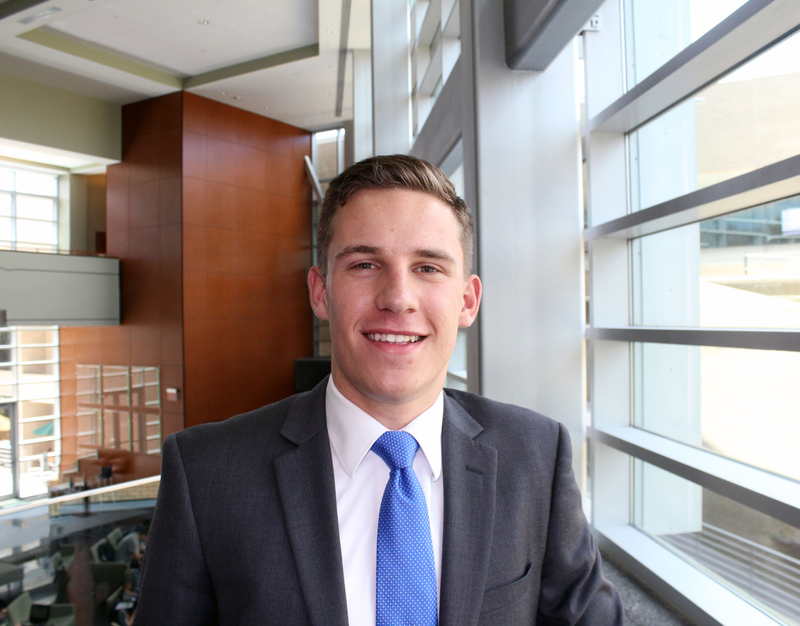 He started a fraternity on campus and has been elected as Muma College of Business senator. He currently works as an accounting assistant at USF Aramark. All his life, he has had a passion for numbers and that is why he chose finance as his major. Getting to where he is now was difficult, but he overcame language challenges and learned to seek out and utilize feedback from others to his advantage. He focused on his studies and improved his English when he joined the Bulls Business Community in his first year at USF. He is currently involved in the Corporate Mentor Program, where he continues to hone his language and interview skills and he plans to take the Chartered Financial Analyst Level 1 exam this December to facilitate his path to a finance career. Smyslov is the founder of the Phi Gamma Delta fraternity on the USF campus. The fraternity places a high value on community service and academic achievement. Smyslov and his fraternity brothers volunteer at local USF community servicee events and under his leadership, Phi Gamma Delta has doubled in size and has been recognized by the national headquarters.